9 April 2016 in Felix Meritis Amsterdam. Zie programma op de website van het Drif Festival. Met onder andere David E. Cooper (Gardens, Nature and Culture); Filippos Bertoni (Crawling through Natures); Judith Still (The Beast and the Slave); Lieven de Cauter (Neo-Natuur als Glokaal Gemeengoed) en Patricia Pisters (Metallurgisch Denken). The Revenant (Alejandro Iñárritu, 2015) and The Hateful Eight (Quentin Tarantino, 2015) revise the western genre. Where The Revenant takes us back to the real pioneering beginnings of the nation, The Hateful Eight looks at the 'Wild West' from a contemporary perspective and current gun violence. 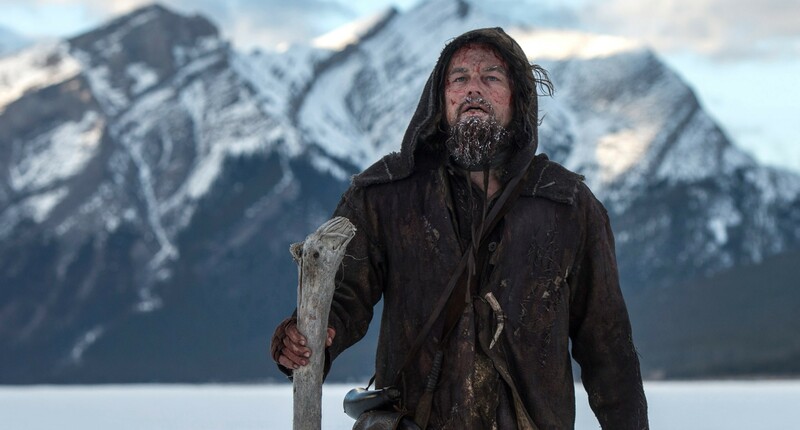 The Revenant is sublime in making us feel the bare life of the pioneering beginnings of the American West. No saloons to have a drink after a shoot-out, just the harshness of nature full of enemies of all sorts. Breathtakingly filmed; Leonardo DiCaprio deserves an Oscar. 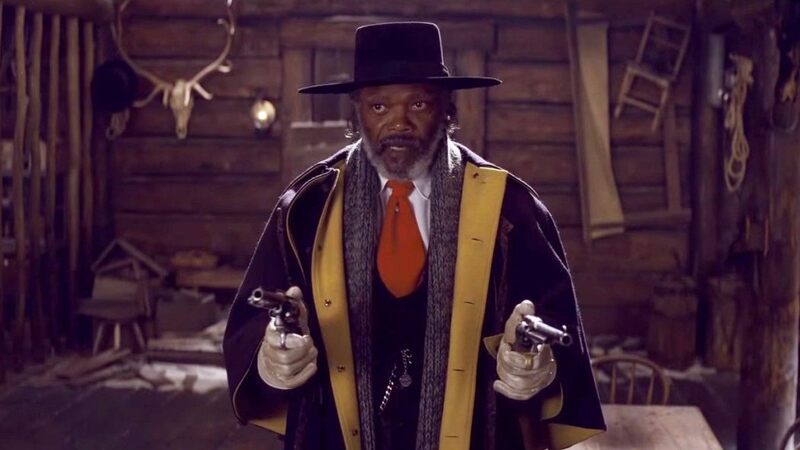 After his revisionist western Django Unchained (2012) with The Hateful Eight (2015) Tarantino gives again a biting commentary on the racial relations in the US. While Django Unchained is empowering, in The Hateful Eight there is no redemption of revenge (as is also the case in Kill Bill and Inglorious Bastards). The fetishistic Lincoln letter that the Samuel Jackson character keeps in his pocket, containing a promise for the nation, has appeared to be worthless. Only hate remains. Not even the love for cinema’s widescreen can compensate for this tragic message of violence. Another gem from the International Film Festival Rotterdam: Melvin Moti's Eigenlicht (2012), part of the programme Out of Sight: People are generally blind to their own way of looking. These short films heighten our attention to light, darkness, flickering, mechanical rhythm and imaginary projections. 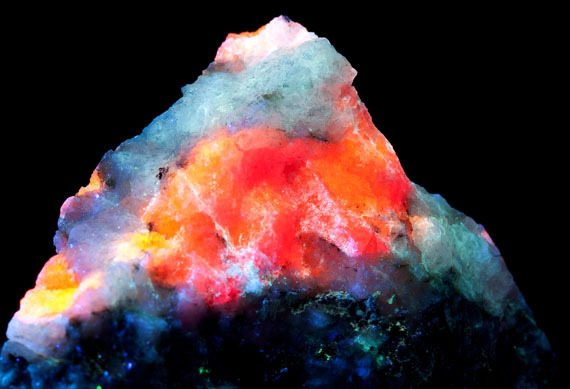 About Eigenlicht: Certain minerals convert absorbed UV light into visible colours of unearthly beauty. Shown in sacred, cosmic silence. Eigenlicht (intrinsic light) refers to the visual interference the human eye sees in complete darkness. Only seen a sliver of the 300+ films of the International Film Festival Rotterdam, so this selection is very partial. But Laurie Anderson's Heart of A Dog, Charlie Kaufman's Anomalisa, Andres Duques' Oleg e las Raras Artes and Beyond Sleep by Boudewijn Koole (based on the famous Dutch novel Nooit meer slapen) are all very beautiful and very remarkable. 17-19 March 2016. Worlding the Brain. 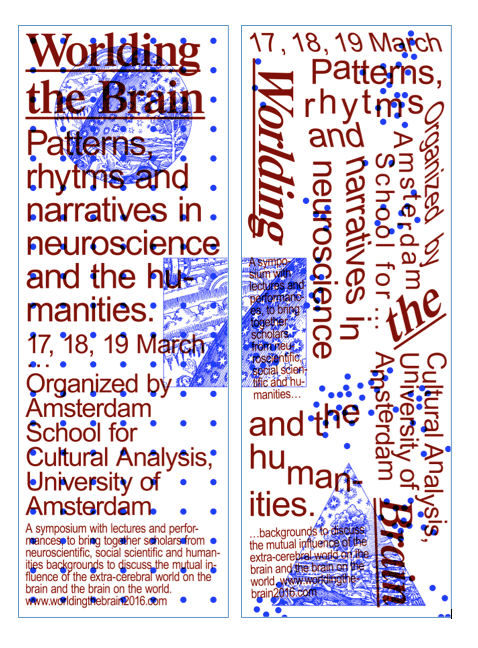 Patterns, Rhythms, Narratives in Neuroscience and the Humanities. International Symposium at the University of Amsterdam on understanding the human brain in interaction with the world. Three leading scholars from the humanities and neurosciences have accepted our invitation to give keynote lectures at the symposium. Professors N. Katherine Hayes, Jean-Pierre Changeux and Andreas Roepstorff share a profound commitment to interdisciplinary research and have all in their own way contributed to the worlding of the brain across disciplinary boundaries. 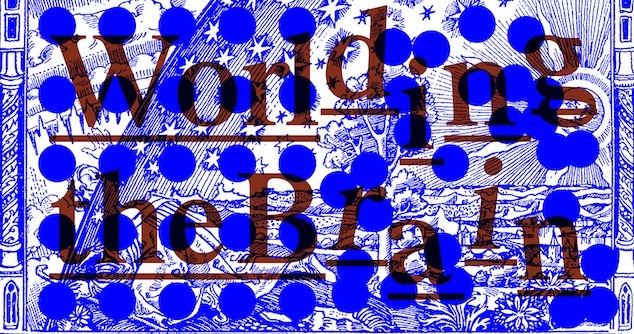 Find more information and the Call for Papers on the worldingthebrain-website. 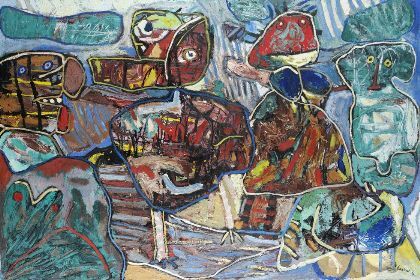 Lucebert's Dutch poetry and Post Second World War paintings are still so powerful. See here a website (made by Rocco ter Haar as school assignment) dedicated to two of his poems: De Visser van Ma Yuan en De Gebroken Rode Draad. Image: 'Drama thuis' Lucebert 1961.